Do you often leave interactions feeling like you didn’t make your point? Do you feel misunderstood? Do you feel like people don’t really listen to you? It’s time for you to uplevel your communication skills so that you can confidently engage your audience. Whether at work or in your personal life, satisfying connections, effective conversations, and the ability to appropriately influence others are important skills for your overall well-being. Stop wasting your energy on poor quality interactions and up your communication game with these 5 key skills and go-to action steps. Be aware and thoughtful in your interactions. I often hear people complain that they are stuck in the same unproductive or unpleasant conversations with people. This is often because we are not actively working to be intentional in these conversations. Consider your tone and mood, how you engage, and what words you use. Can you start on a light or humorous note? Can you state up front the purpose of the conversation? What words can you use at the beginning of the conversation to get a better outcome from the interaction? Set people up to have a good interaction with you by considering what you like about them and how you engage this best part of them. How can you engage, structure, or start the conversation that allows the other person to shine? Can you engage in ways that allow them to bring their expertise to the table? Can you ask questions that make the conversation more enjoyable because you are getting something interesting from them? Think about something ahead of time you’d like to connect about. Enjoying this blog? Join our email list to get it delivered monthly. Disengage or change the subject if people want you to talk in ways that are not right for you. For example, I don’t want to gossip or even complain extensively. These are time-wasters in my mind. I will end the conversation or change it. A simple, “I have some other things to attend to now, I’ll catch you later” will work. We tend to believe that if you use a lot of words people will think you are kinder and understand you more. Being concise with your words makes your main points more clear, projects confidence and competence, and avoids wasting time and energy for all involved. This is especially true if it’s an important one. Otherwise, you won’t be getting your point across in a clear and thoughtful way. We often feel we need to justify or defend ourselves without any reason. This is tiring for the other person and projects a sense of insecurity and insincerity. Your sorry has no meaning if you use it all the time. You are driving down the value of apologizing. Saying you are sorry is for when you have done something wrong. In that case, say you are sorry, why and for what, acknowledge the impact on the other person and state what you’ll do differently or to make it better. Another acceptable use for “sorry” is for condolences. Saying sorry is not used for trying to make someone feel better when you didn’t do anything wrong. Don’t apologize for when you need to say “no” or if someone’s own life choice led to a difficulty for them. Misusing “sorry” increases our own sense of inappropriate guilt. My definition of validation is acknowledging the other person’s feelings as understandable and that you can recognize/see/sense these feelings. Validation is not agreeing, it is not conceding, it is not giving in. Validation is a way of really listening and connecting with anyone, in any situation. It is a super tool of communication that allows people to feel a sense of safety and belonging, even when we disagree. 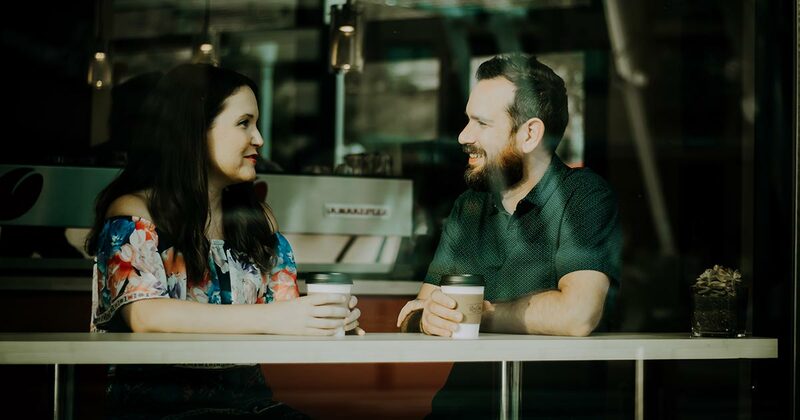 An over-utilized strategy for facing a conversation that may be uncomfortable is to simply attempt to delay or avoid it. How exhausting is avoidance? Very. When we face a conversation and move on, it’s a lot less work than to think, wait, and wonder, all the while feeling guilty. If you someone has asked you something, you need to answer. It doesn’t have to be what they want to hear, but don’t keep people in your life hanging. I don’t endorse “ghosting.” It’s a matter of integrity to provide a response to people in your life, even if it’s to set a boundary or say something honest and uncomfortable. People are uncomfortable when they don’t know where they stand with you. Do them a favor and clue them in. You can work through it or just move on, but trustworthy people let others know what’s up. No one can mind read and people will resent it if you are asking them to by not communicating with them. Ready to put these into practice? Download the Uplevel Your Communication 5-Day Action Plan.